Around 22 complaints involving power morcellators are pending in 16 different U.S. federal courts around the country. Plaintiffs are now requesting a federal judge to centralize proceedings for Multidistrict Litigation (MDL). [2017 update: there was at Ethicon power morcellator. It has already been dissolved. The cases that settled in the MDL had high dollar amounts. But there were only 42 cases.] I touched on the issues surrounding power morcellators on more than one occasion, but let’s talk about where these cases are and where they are going. 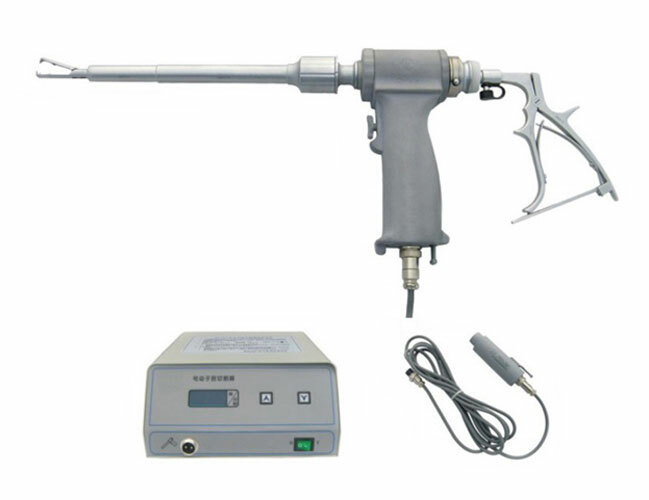 Power morcellators are surgical devices that are used to cut portions of the uterus into small fragments so they can be easily extracted through a patient’s stomach. Morcellators are utilized in laparoscopic hysterectomies where patients want to avoid traditional surgical scarring. Although morcellators are a great way of avoiding just that, the nature of the device and procedure often means that fragments of tissue are left behind after a procedure. Doctors and patients really didn’t worry about this too much because they were under the impression that the risks associated with leaving trace amounts of tissue behind were low. Starting in 2006, however, pathologists informed a manufacturer of power morcellators, Johnson & Johnson, that their use has the potential to cause cancerous cells in the uterus to spread. Typically, these cells would have been contained in the uterus, but using a morcellator could break up cancerous fibroids in the uterus, increasing the risk of cancer spreading throughout the body. Granted, it’s not like every patient who undergoes a hysterectomy is faced with this risk. Current estimates suggest that about 1 in 350 patients who undergo this procedure have cancer cells contained within the uterus. So the incidence of cancer may be low, but considering that around a half-million patients have undergone a laparoscopic hysterectomy, around 1,500 patients were wantonly exposed to the risk of cancer. The FDA actually had a formal meeting about power morcellators back in April of last year, after which they offered a warning about the risk associated with power morcellators. They did not issue a recall, but numerous hospitals have discontinued their use, while Johnson & Johnson temporarily suspended sales of the product. After issues began to pop up, lawsuits were filed throughout the country. Those lawsuits suggested that Johnson & Johnson did not adequately warn doctors and patients about the risks associated with power morcellators, meaning they did not have the information needed to make an informed choice about the procedure. Perhaps unsurprisingly, the FDA now insists that traditional hysterectomies are the safer way to go. All of the current power morcellator lawsuits floating around the federal courts make similar allegations: the manufacturers failed to warn patients about the risks associated with the device. This being the case, the plaintiffs filed a motion to transfer with the Judicial Panel on Multidistrict Litigation asking for consolidation. An MDL would help the parties avoid doing the same discovery over and over again, while allowing one judge to make rulings on similar pre-trial issues. It is similar to a class action, but after discovery and bellwether trials, the cases would then be sent back to their respective districts for individual trials. The plaintiffs involved in these cases are looking to consolidate the cases before Judge Kathryn H. Vratil in the District of Kansas. The manufacturers have until July 10, 2015 to respond to the request and oral arguments regarding an MDL will be heard sometime in October in New York City. When cases are consolidated in an MDL, the parties then select certain cases to go forward as bellwether trials. These trials allow the parties to test their cases before juries, gauging how people react to evidence that is put forth. Their outcomes often have a direct influence on settlements and their value. If you believe you have cancer — or lost a loved on from cancer – as the result of the use of a power morcellator, you need to call a lawyer. Call us at 800-553-8082 or get a free on-line consultation here.